I'm always honored when clients go out of their way to let me know how they liked working with me. Here is some of that feedback! You have helped us so much since we have started working with you. We don’t know how we could have done it without you. What seemed so overwhelming was made so much easier with all your expertise. You and all the people you recommended were a joy to work with. You’re more than our real estate agent, we consider you a dear friend. I wanted to express how much I appreciate your patience and understanding as well as all the time you dedicated to helping me find my house. Again, thank you for being patient with us. I understand that with us being a first time homebuyer we're a little bit cautious than probably regular homebuyers out there and I just want to let you know that Dino and I are very thankful for everything you have done for us and still doing for us. We're boasting to everyone how lucky we are to find a good agent especially for someone who has no idea on buying a house. You have no idea how intimidated and a bit scared we were about the whole house thing but with you, we were very comfortable, confident, and gained a lot of knowledge about what we needed to know. So again a million thank yous! We appreciate so much your professional approach to helping us sell our home and enjoyed getting to know you in the process. Your good communication and organization really supported us well. Thanks again for a job well done. I just had to thank you again for the wonderful job you did with my house. Your confidence and calm approach helped me so much, Thank you!! 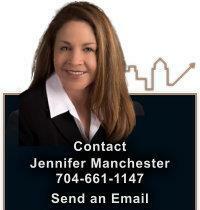 I highly recommend Jennifer Manchester as an excellent choice for a home stager. With one of my more sensitive clients I brought Jennifer in to review the home and give the home owners her suggestions. I was there with her the whole time and I can truly say it was a very thorough job going through each and every room in a two story home with finished basement. She then took all of her notes and produced a great document that the homeowner could use to make the improvements necessary to market the home properly. I would surely use her services in the future.